Are you a researcher? Are you interested in genealogy or local history? Are you looking for a book on Bohuslän or would you like to view old photographs? Here at the Museum we have an extensive archive and a well-stocked reference library. You are invited to take part in our shared cultural heritage. The Bohuslän Museum archives exists to preserve the museum’s documents and make these searchable both for museum staff and for members of the public. Our cultural heritage is open and available to anyone who wishes to access it. This archive contains documents relating to previous and current museum activities. The files in the official archive date back to 1862. The activities documented include preservation of buildings, archaeology, exhibitions, and ethnological records. Archives from private individuals, farm archives and archives of societies and businesses. These files have largely been donated by private individuals. The archives contain around 450 creators and include diaries, stories and letters. Amongst the professions represented are seamen, artists, merchants, farmers, and female factory workers. The archives also contain maps, boat designs, and documentation from eg shipyards. Some documents in the archive are confidential and therefore are not available to researchers or others. This archive consists mainly of maps, drawing and archive files on cultural environments, properties and archaeological activities. Around 150,000 images in our photographic collection are now available for searching via DigitaltMuseum. DigitaltMuseum also allows users to search our Collections. 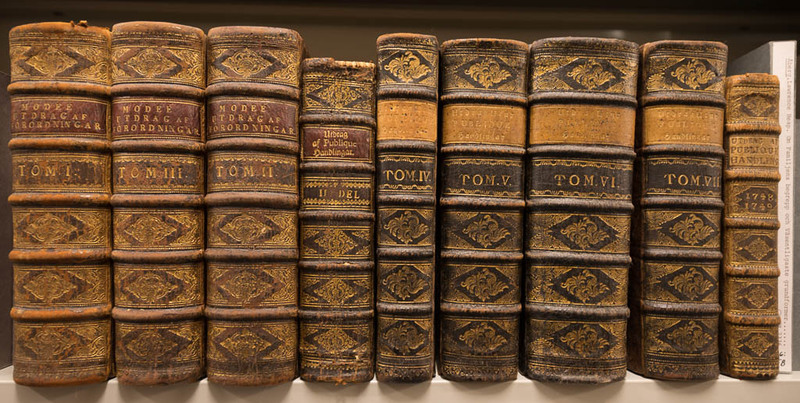 We also maintain a library of around 27,000 volumes. This is a reference library that contains literature on history, arts, ethnology, and for the greater part, literature on the local history of Bohuslän. Please feel free to make an appointment to view the contents of our library. Our library is searchable via Libris. The museum library has a research desk with access to information materials and literature on genealogy, suggested links etc. You may also book an appointment to use our genealogy computer which has several searchable databases and programmes, such as Sveriges befolkning [Sweden’s population] 1880, 1890, 1900, 1970, 1980, 1990, Sveriges Dödbok [Sweden’s Book of Deaths], Begravda i Sverige [Swedish Burials], Emigranten Populär [The Emigrant Popular], SVAR [Riksarkivet, Digital Research Room] och Arkiv Digital [Digital Archive]. The genealogy computer can be booked for 2 hours at the time, free of charge. We collaborate with Bohusläns Föreningsarkiv [Bohuslän Society Archives] with which we share our premises. In this archive you will find files from around 1,700 societies dating from the mid-19th century until the present day. The societies represented include trade unions, temperance, sports, politics, and other societies. A substantial proportion of the files relate to trade unions linked to the Bohuslän quarrying industry. Bohusläns Föreningsarkiv also maintains a newspaper archive with microfilm copies of daily newspapers with a Bohuslän connection, as well as a database containing approximately 90,000 registered article titles.